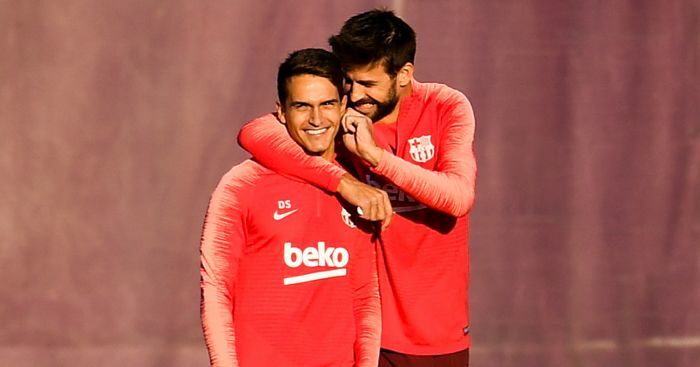 Arsenal’s efforts to bring Denis Suarez to Emirates Stadium this month appear to be over after a report claimed negotiations between Barcelona and the Gunners had hit a major obstacle. The 25-year-old’s first-team appearances have been few and far between this season under Ernesto Valverde and the Gunners have been heavily linked with the player, who has been targeted as a replacement for the departing Aaron Ramsey. Mundo Deportivo had claimed that the LaLiga leaders were working quickly on getting Suarez out of the door and that there is already a ‘full and economic agreement’ in place for the transfer. However, according to ESPN, Barcelona have told Arsenal they want it pre-written into the loan arrangement that the deal will become a permanent €20million transfer in 1 July – something that Arsenal are reluctant to agree to. It’s suggested Arsenal and Emery only want a loan deal which includes an option to buy, as opposed a guarantee to buy – and with Barcelona refusing to budge, the deal could now be off. ESPN now reports that it now looks increasingly likely that Suarez will remain at Barcelona until the end of the season, despite being withdrawn from Wednesday night’s Copa del Rey clash with Sevilla on the morning of the game to make room for new signing Kevin-Prince Boateng. Barcelona remain eager to move Suarez on – but only if a suitor accepts their terms – meaning another club could yet come in for the player before the window shuts a week today. But with time now running out, it seems the one-time capped Spain star will see out the season at the Nou Camp, despite being pushed further down the reckoning at a side where he has only played a total of eight times this season. The post Big concern for Arsenal as bid to land top target hits stumbling block appeared first on teamtalk.com.